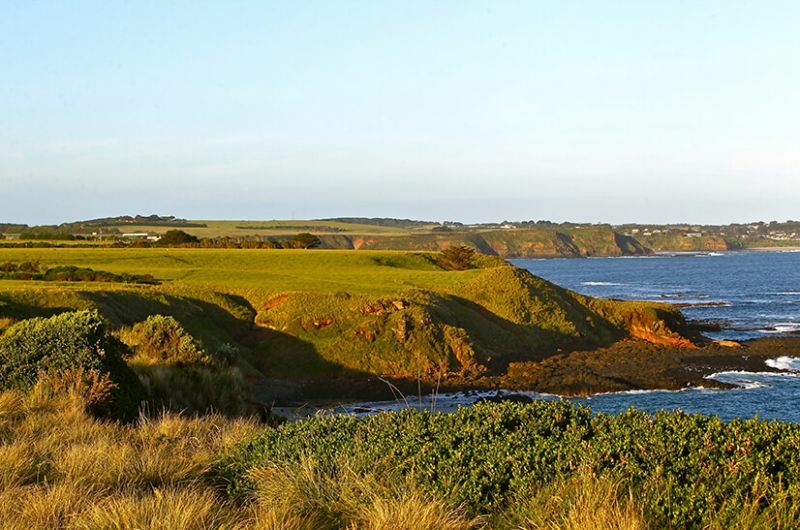 A trip to Phillip Island is a must-do for a unique Australian experience. Phillip Island is home to a collection of Australian native wildlife including the famous little penguins, fur seals and koalas. 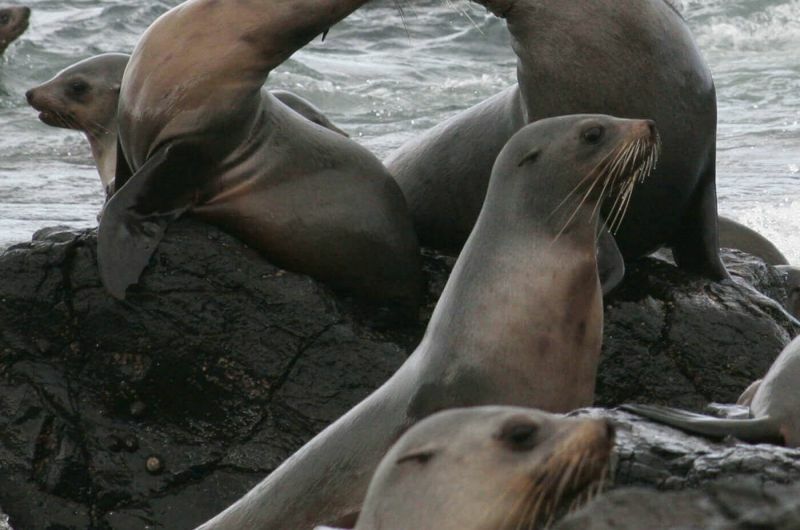 Get up close and personal with these animals on this insightful tour. View the rugged coastline where the rocky shoreline meets sandy beaches, which are often rimmed by keen surfers. 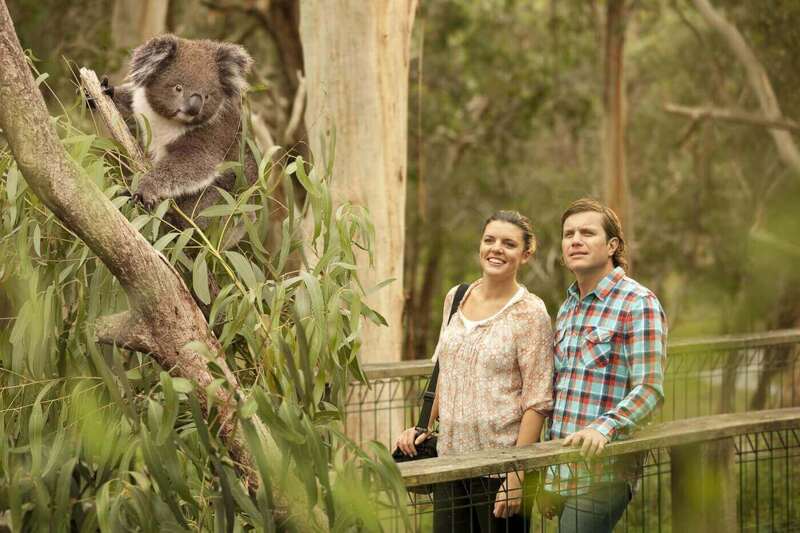 During your tour, you will get up close to Australia’s most iconic of marsupials at the Koala Conservation Centre. Exploring the tree-top boardwalks at the centre you will see Koalas up close in the natural habitat. Wander the extensive trails through Australian bushland, home to many animals including wallabies, echidnas and bats. 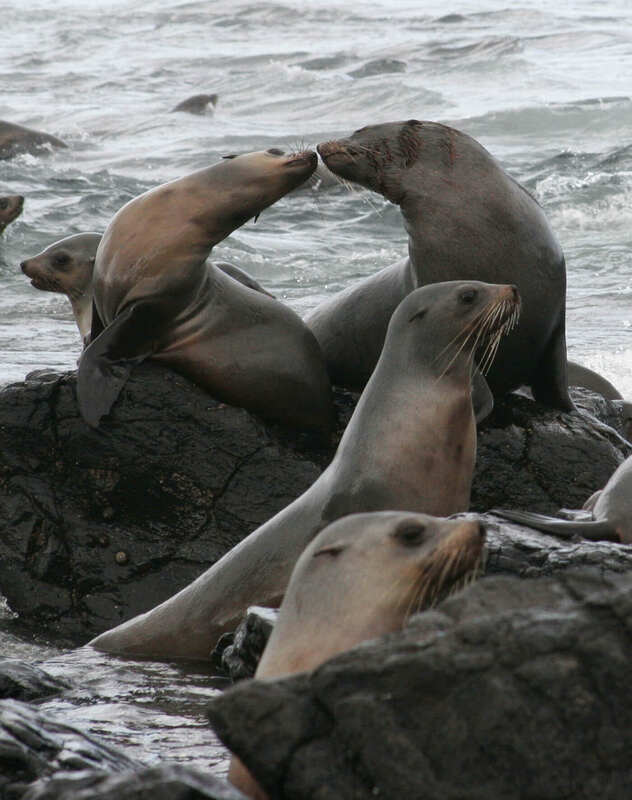 Acquaint yourself with the wonders of the southern waters while you meander along the coastal boardwalks and catch a glimpse of the world’s second largest Australian Fur Seal Colony at Seal Rocks through the interactive cameras at the Nobbies Centre. 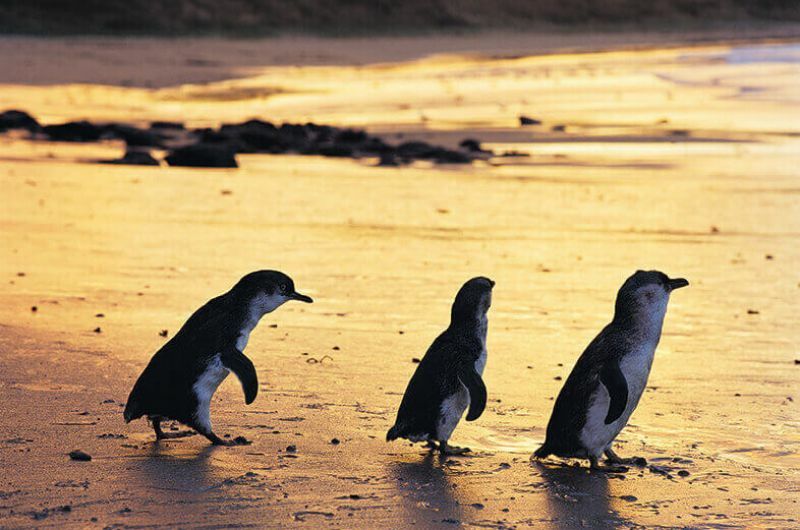 Every evening at sunset the Little Penguins come out of the surf and return to Summerland Beach. 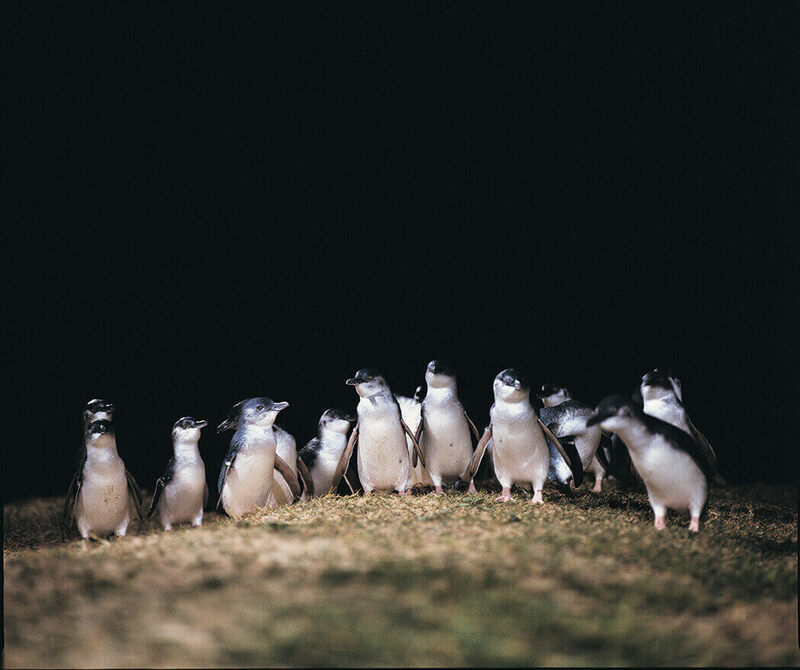 They waddle up to their burrows, just as their ancestors have done for thousands of generations. They meander straight past eager visitors who wait in anticipation for the night’s performance. 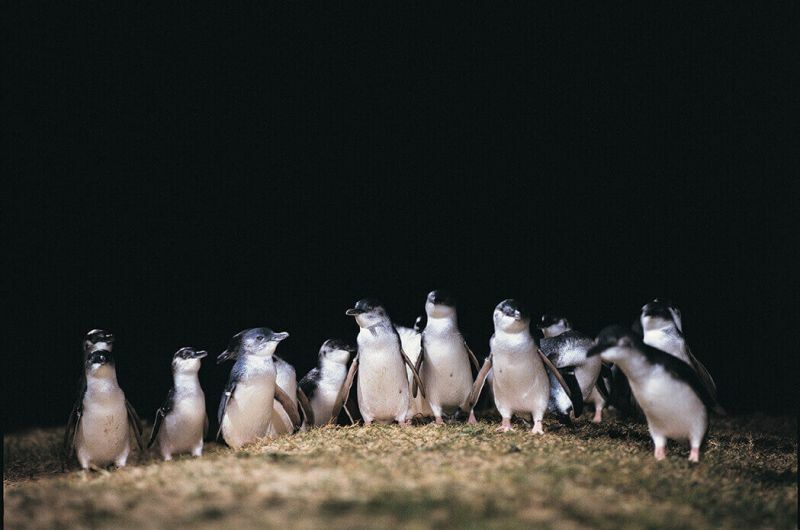 Watch this miracle unfold in front of you, from an exclusive raised platform away from the crowds with the Penguins Plus experience and see these unique creatures return to their nests in the sand dunes. 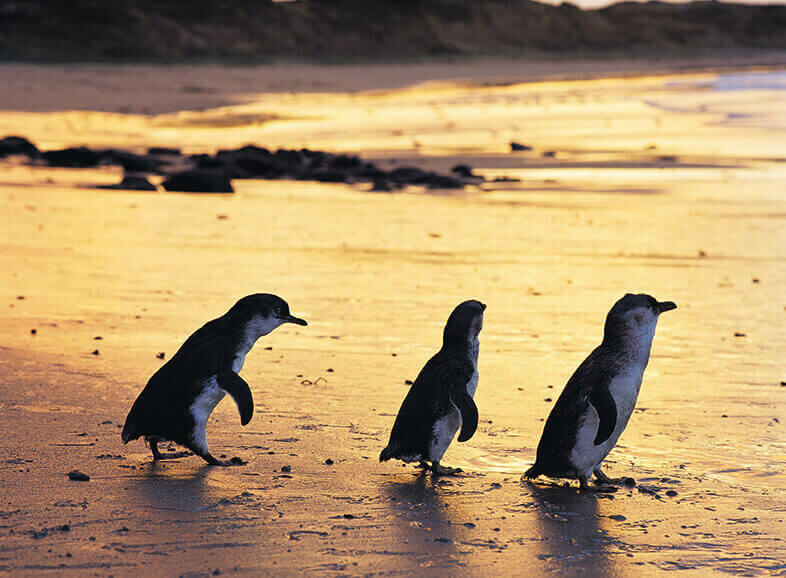 The Phillip Island Penguin Parade is one of the most popular attractions to see from Melbourne.